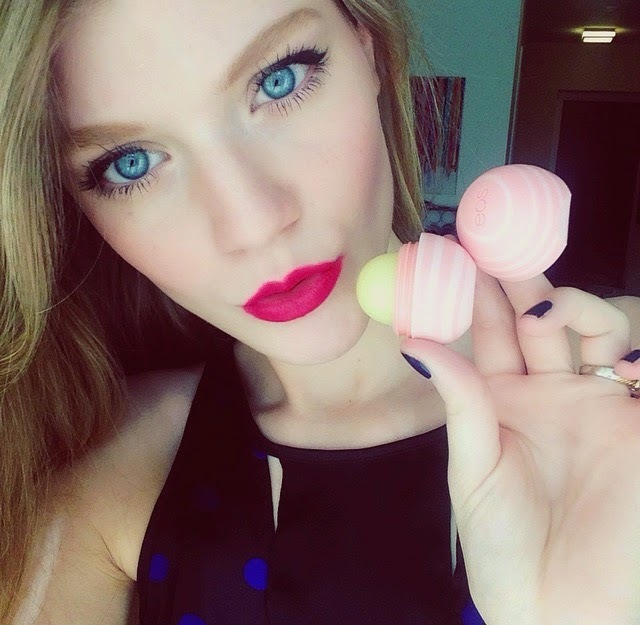 EOS lip balms are my absolute favourite. I have about 3 in my purse, two in my overnight bag, one beside my bed and one at my boyfriends place. I guess you could consider it a bit of an addiction!? How can it not be when these cute little balls of moisture are the only things that really keep my lips moisturized and soft all throughout the year. No one wants chapped lips, so I love to have one of these by my side at all times. I also wear a lot of lipstick so you cannot have chapped lips when applying lipstick. These balms are my go to moisturizers to make sure my lipstick glides on, and makes them look luscious. 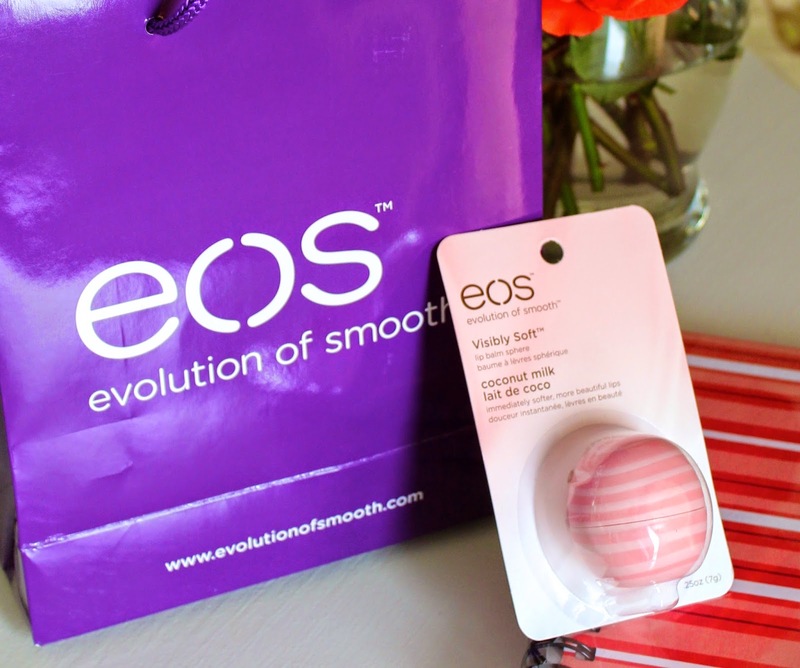 This Coconut Milk Eos Balm with the swirls is one I have never tried. It smells so good, I'm almost tempted to eat it...almost. The added bonus with most of the EOS balms, is they are 99% organic and you can find them at multiple retailers across Canada. The balms moisturizing formula is packed with natural conditioning oils, including hyaluronic acid and Vitamin C. The increased hydration promoted by hyaluronic acid helps to nourish and regenerate skin cells, which we all need during these harsh winters. What's in my Makeup Bag! !